Foreign and security policy impacts everyone, and is therefore too important a topic to be silenced or restricted to the backrooms of government ministries. In general Norwegians have a high level of knowledge on international affairs, not least reflected in a substantial societal interest in the subject. The world is changing rapidly, and Norway along with it, facing new challenges. As such, it is paradoxical that open debates on international affairs are so limited. Why is this? One common explanation for this is that there is so much consensus on foreign and security policy that there is little to discuss. Another frequently heard explanation is that, despite a relatively high level of knowledge, much of the population still lacks the understanding that is required for decision-making in this field, so it is best to just keep quiet. We also often hear a third explanation, which is that most people – voters – actually have little to no interest in the topic, despite evidence of the contrary. Also, the Norwegian political landscape is basically defined by domestic cleavages – while major foreign policy issues, like membership in the EU – tend to raise tension within most political parties. The net result is that although foreign and security policy may be important, these topics do not earn political parties a lot of mileage with the voters. The long-term costs of this attitude may be significant. Without a broad, informed debate about these dramatic and important issues, societal resilience and democracy will be weakened. Norway has steadfastly maintained its approach to world politics, conducting a foreign policy in which international aid, humanitarian considerations and peacebuilding diplomatic efforts have featured strongly, while at the same time being heavily influenced by the alignment with the EU through the EEA, membership in NATO and the relationship with the United States. These priorities have endured over time, despite the far-reaching changes that have occurred in the international community and the global balance of power since the end of the Cold War. While the West, led by the sole remaining superpower, came to dominate the world after the Cold War, the era of Western hegemony has already come to an end. Presently a large number of states compete for regional and global influence, and strive to gain economical, military and political power to achieve it. The balance of power is in flux. During the Cold War communism and plan economies stood against democracy and capitalism. Presently authoritarianism stands against democracy and religious and nationalistic orthodoxy stand against liberal globalism. These struggles take place on the international scene, but also within a large number of countries. During the two past decades we have seen the development of robust terrorist networks and an increase in the number of transnational terrorist attacks. Barriers between national and international politics are being eroded, and questions linked to increased migration and globalization are adding new difficult challenges to the political agenda. At the same time, a more aggressive style of rhetoric from Russia has created international geopolitical tensions and contributed to complicating the relationship between NATO and Russia. These complications affect Norway’s relationships both with Russia and our allies. Major global changes have resulted in dramatic upheavals internationally, but to what extent have these changes led to corresponding changes in Norwegian foreign policy? Norway’s foreign policy is characterized by continuity. On the one hand we have a policy of engagement, characterized by ideals of achieving a better world through, among other things, peacemaking, large-scale development and humanitarian aid projects, and the strengthening of international legal frameworks. On the other hand, we have a policy based on self-interest, whereby we cultivate links with the United States and NATO, promote Norway’s interests in the Arctic, and increasingly internationalize the Norwegian economy. 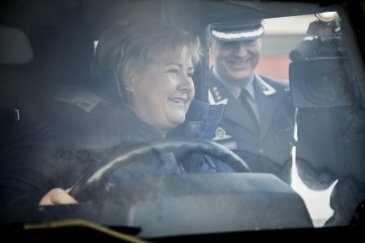 In 2017, the Solberg government published its white paper on the future course of Norwegian foreign and security policy (sometimes referred to in Norway as the “crossroads” white paper). The paper was described as simultaneously confirming that the global context had changed dramatically, while Norway continues a “business as usual” approach with no corresponding policy changes. In actual fact, however, the white paper signalled a significant change of direction for Norway, though this has been little debated. Following this white paper, national security became the primary focus of Norwegian foreign policy. It is disturbing to think that this significant transition occurred virtually without any debate. What constitutes a sensible balance between deterrence and appeasement in relation to Russia? What policy should Norway adopt regarding military alliances, given the changes occurring within NATO and new ambitions concerning security policy within the EU? What implications does Norway’s decisions on defence structure and equipment have for future choices? What kinds of international military missions should Norway prioritize? The continuities within Norwegian foreign policy is in many ways a strength for Norway. But an evolving international situation demands reflection and adjustment in policy as well, which need to be anchored in broad political support. Although foreign policy does not seem to be a decisive factor when voters choose what party to support, we argue that public interest in foreign policy is far more widespread than has been reflected in political debate. The 2010 study “Old conflict – new issues?” by Hanne Marthe Narud, Helge Hveem and Bjørn Høyland found that 38 per cent of respondents described themselves as interested in foreign policy. In our opinion, Norwegian foreign and security policy deserves greater attention. We believe that there are significant risks by not encouraging informed debate in society, given that we are all encountering a rapidly changing world. Currently we are involved in the launch of UTSYN (meaning ‘Outlook’, in Norwegian), a project that is aimed specifically at promoting a broad and informed debate on these kinds of issues. This may seem like a daunting task, but we see that there is great deal of interest and knowledge that is not getting the public attention it deserves. Let the debate begin! This is an expanded version of an op. ed. originally published in Nordlys on 13 March 2018: ‘Den viktige debatten vi ikke har’. The three authors are all on the Board of Directors for UTSYN, a newly launched platform that will stimulate a broader and more inclusive debate on Norwegian security and foreign policy, promoting a nuanced and knowledge-based exchange.